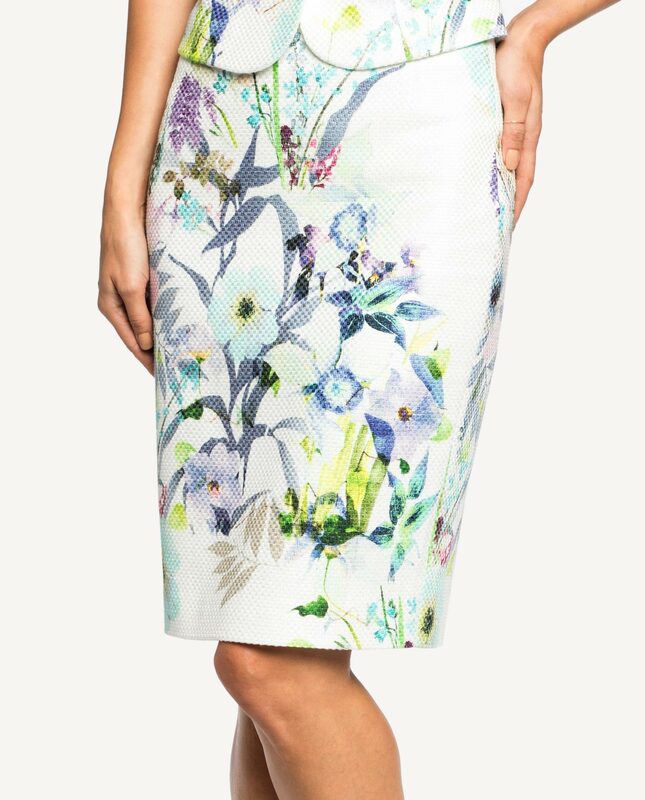 Elegant jacquard pencil skirt in jacquard cotton fabric which is distinctively textured. 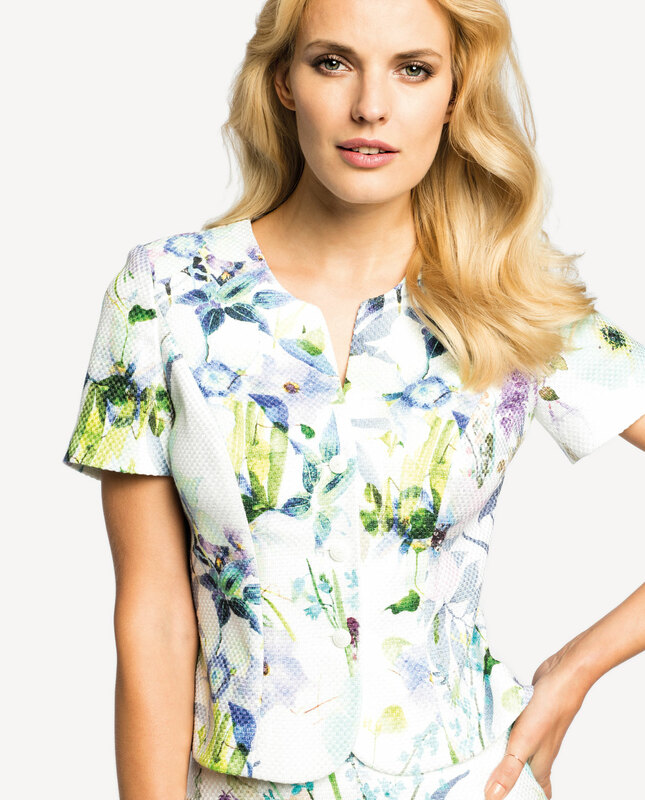 Floral patterns play nicely with summer looks. Fitted midi style flatters the body shape. A concealed zip at the back, short slit at the bottom drawing attention to your legs. Paired with tight-waited jacket, it will form a glamorous look. Lined, comfortable to wear.